Cynthia Linville has been teaching college English classes since 1996. Prior to joining the faculty at Sacramento State in 2000, she taught at James Madison University in Virginia and at Shepherd University in West Virginia. She has a strong interest in intercultural communication and the first amendment and sometimes includes these themes in her classes. One project in which she matched up international students with American students was profiled in an article, here. Linville has written and edited textbook articles and chapters for Boynton-Cook, Cengage, and other companies, including two articles for the Sacramento State Student Writing Handbook. An updated version of one of these articles, "Real World Writing: What Employers Expect," can be read here. Cynthia is a poet whose work has appeared in many publications and several anthologies, and her two poetry collections, The Lost Thing (2012) and Out of Reach (2014), are available from Cold River Press. She has received mini-grants from Poets & Writers to perform her work with musicians. One such performance has been archived here. Ms. Linville frequently reads her work in northern California. She has been hosting poetry readings in the Sacramento area for many years at venues such as the Crocker Art Museum, the Sacramento Poetry Center, Luna's Cafe, and the Vox art gallery. She served as Poetry Editor for Poetry Now from 2008 - 2011 and served as managing editor of Convergence: An Online Journal of Poetry and Art for 10 years. She recently edited Patricia Hickerson's posthumous poetry collection, Outcry, for R. L. Crow. 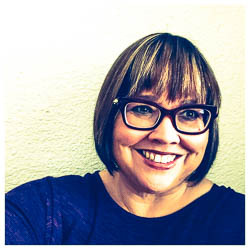 Cynthia Linville is also a photographer whose work has appeared in People's Tribune, Sacramento News & Review, Capital Public Radio website, WTF, and more. Students visiting her office will see her work displayed on the walls, and she has shown her photographs in Sacramento galleries. Linville frequently contributes both poetry and photos to Medusa's Kitchen, and she has been a featured artist on Sacramento365. Although a Sacramento native, she has also lived in London, Manhattan, San Francisco, and outside of Washington D.C.
She earned both a bachelor's and master's degree at Sacramento State and enjoys teaching in the same classrooms where she was taught. Her parents also worked at and attended Sac State, starting in the 1960s. One of Cynthia's earliest experiences on campus was getting expelled from the library for being a crying baby. Cynthia Linville takes full responsibility for the information posted. The information on this page represents that of Cynthia Linville and not that of California State University, Sacramento .